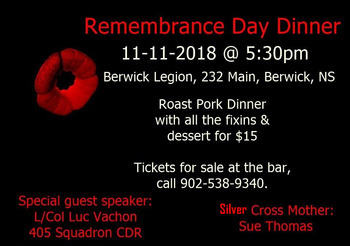 Join us for Remembrance Day. Ceremonies will start at 5:30 pm with special speaker L/Col Luc Vachon and Silver Cross Mother Sue Thomas. 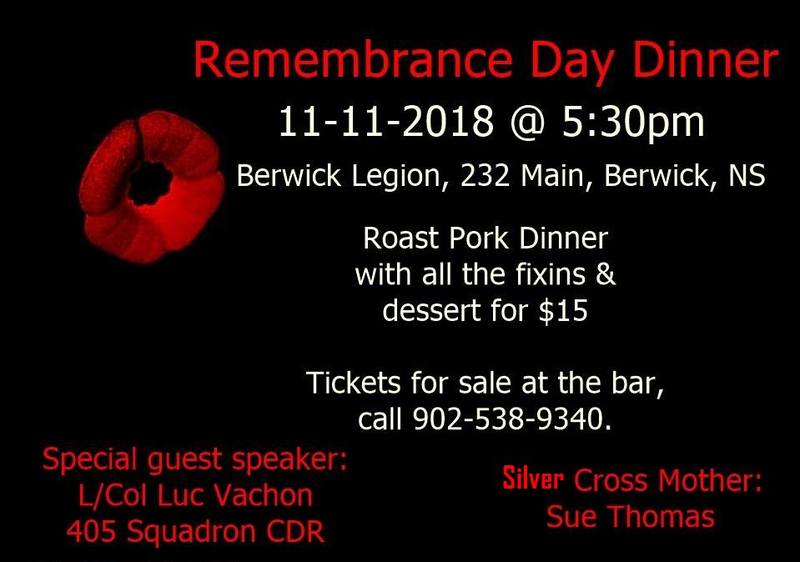 Call 902-538-9340 for more information.